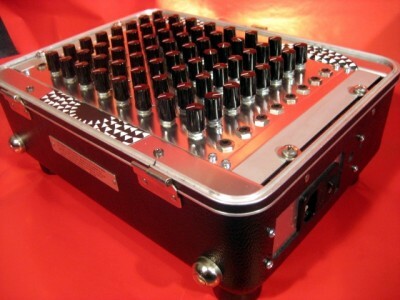 Before the folding, Buchla-style case of the Macumbista Modular was complete, I built the Macumbista Mini (2009). 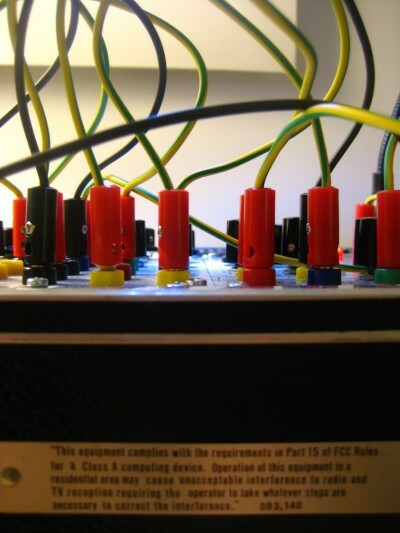 It was recycled from my first synthesizer (a quite primitive machine built in 2001 around the SN76477 complex sound generator IC which is now quite dead) and the case began its life as the home of an ancient modem. It has about a half ampere of power, with a 220V mains connection, and can hold four panel widths of the modules which I have been designing (one panel width = 61mm). 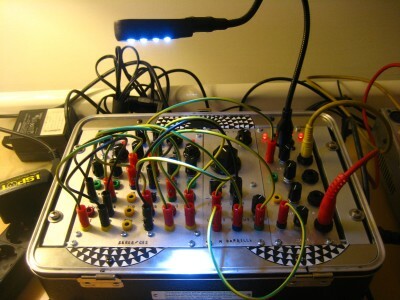 This demo is an edit of three different settings, using two cross-modulated Voltage Controlled Slopes through an Analog Logic module and a pair of Polivoks Voltage Controlled Filters. Feedback from the audio mixer is returned to the control section of the VCS modules. 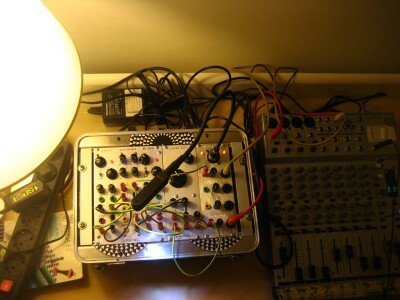 The first version of the Macumbista Mini from January 2009 is pictured here, with an 8×8 matrix mixer module which I built for early versions of the Neanderthal Electronics workshop. Powered by WordPress v 5.0.2. 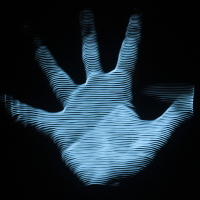 Page in 0.535 seconds.